Lisa Wilcox and Sarah Leverette, Columbia 2016. This edition of Narrative features an interview from StoryCorps, a unique oral history project that collects the voices of our times. 96-year-old Sarah Leverette graduated from USC', Law School in 1943, one of the first women to attend. Here (in this interview from late 2016), Leverette tells her friend Lisa Wilcox about her experience breaking down barriers to practice law. Click to Listen... A production of South Carolina Public Radio. This interview was recorded at StoryCorps (http://storycorps.org), a national initiative to record and collect stories of everyday people. Excerpts were selected and produced by Laura Hunsberger. Sarah Leverette went on to become the first female faculty member at USC's Law School and led the League of Women Voters. Learn more about Sarah Leverette's life and career here. To hear her full interview and other select interviews from a local StoryCorps partner, visit law.sc.edu. Update: Leverette, now 97, received the the 2017 Rev. Sen. Clementa C. Pinckney Award for Justice in August 2017 from The SC Appleseed Legal Justice Center. The award recognizes Leverette's works as an advocate for women's equal rights. This edition of Narrative features an interview from StoryCorps, a project that collects the stories of everyday people to create an oral history of America. Recently, Columbia resident Al Black interviewed his friend Jean Williams about her life growing up and living in the South and how she first became aware of racial injustice. Here, Black asks Williams to share a moment that opened her eyes to racism and prejudice. StoryCorps is a unique oral history project that collects the voices of our times. Recently, friends and law partners Nekki Shutt and Malissa Burnette sat down to talk about their lives and careers, including their fight to bring marriage equality to South Carolina. Here, Nekki asks Malissa how she first became passionate about issues like Civil Rights. StoryCorps will be recording in Columbia from November 17 to December 19. To make a reservation call 1-800-850-4406. This edition of Narrative features an interview from StoryCorps, a unique oral history project that collects the voices of our times. 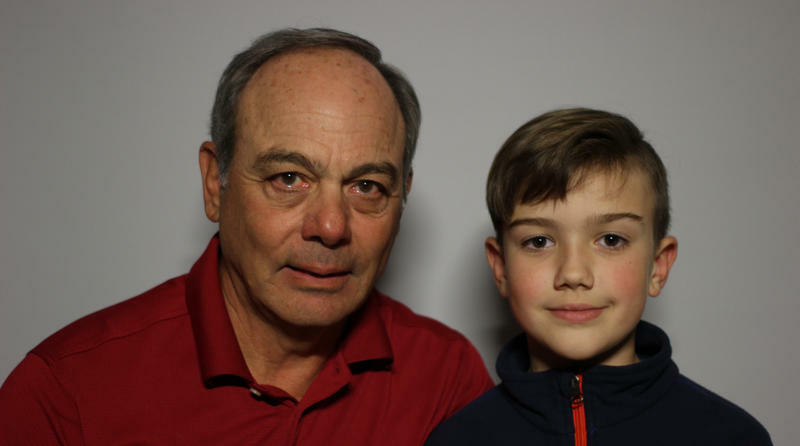 Here, eight-year-old Jack Paolucci asks his grandfather Colonel John Paolucci about his time in the army.